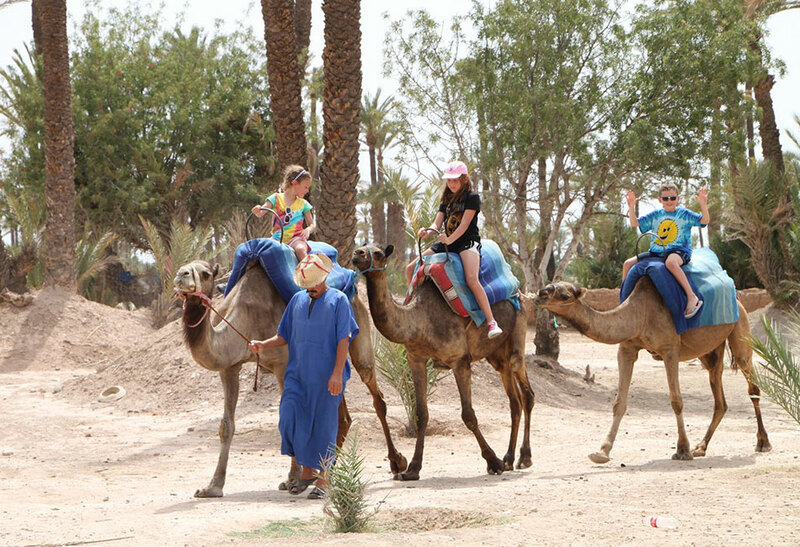 Consider Marrakech desert trip’s day trip from Marrakech to Essaouira, this tour is considered one of our most popular day trips, as it is extremely fun and has a great money value. 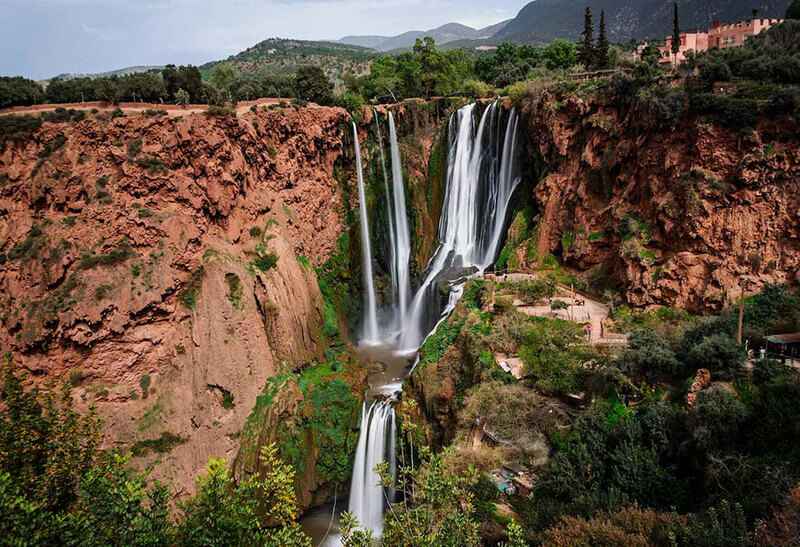 This city that’s formerly known as ‘Mogador’ gives you that sweet summer breeze that you’re longing for, especially after living the heat of Marrakech and getting a little tired of the city noise and the bustling streets. 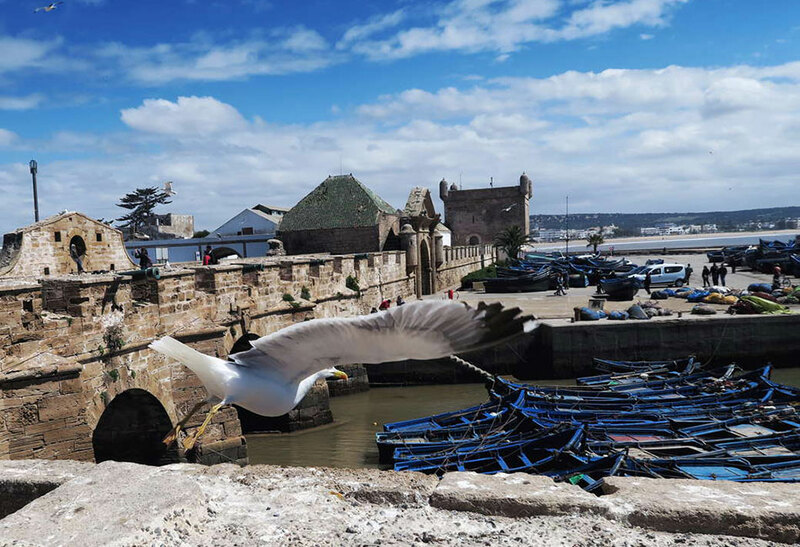 Essaouira is also home to one of the best anchorages on the Moroccan coast, and its only located two hours away from Marrakech, so you can see why this is a great day trip and why it’s popular among Marrakech desert trip. 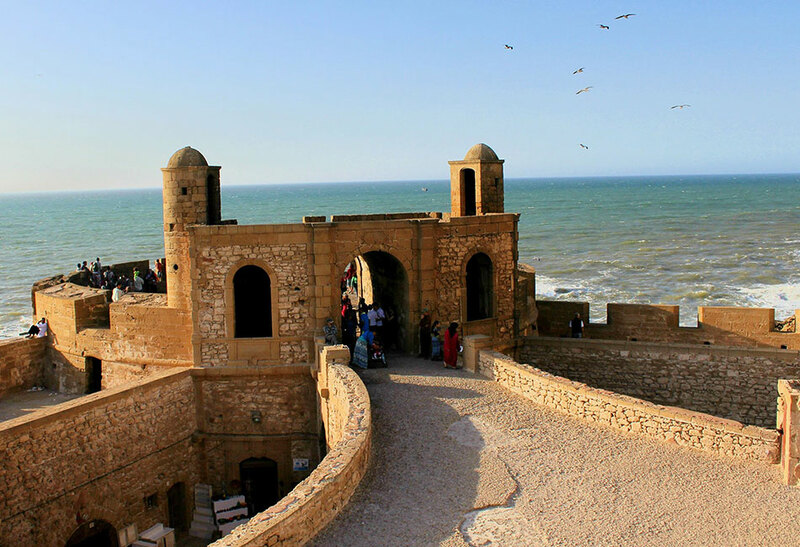 Day trip from Marrakech to Essaouira is a ‘client favourite’ and since more and more people are enjoying this day trip from Marrakech to Essaouira, we’re doing our best to keep it fun, and relaxing. This peaceful little coastal gem is one of its kind, and a large portion of its amazing reputation is because of its friendly locals, getting lost in this city is a long shot and the locals are always eager to help. The Medina is quite small and easy to navigate in. However, if you still prefer to have a guide present, another lovely person, your driver, will be more than happy to locate a guide for you, in order to have a more relaxing tour according to your preferences. 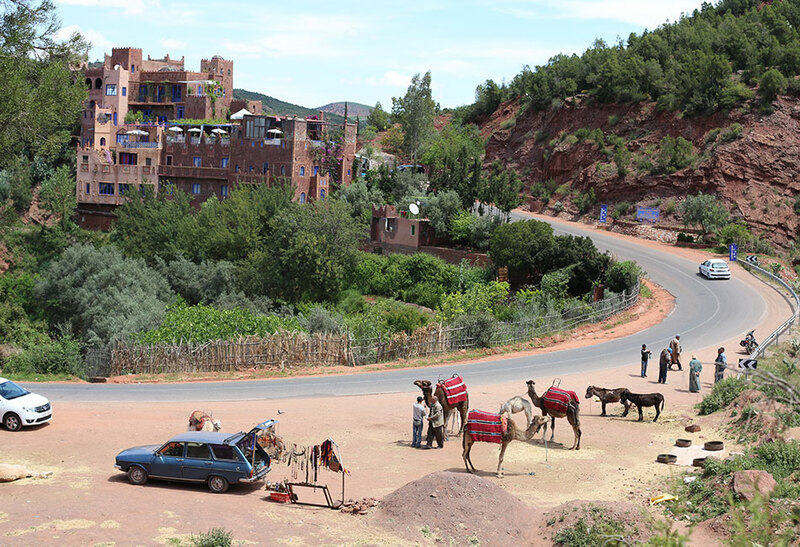 In the afternoon, your driver will drive you back to Marrakech at the nearest accessible car point, or at your hotel/riad. At that time, you’ll be more relaxed and ready to get into more adventures! 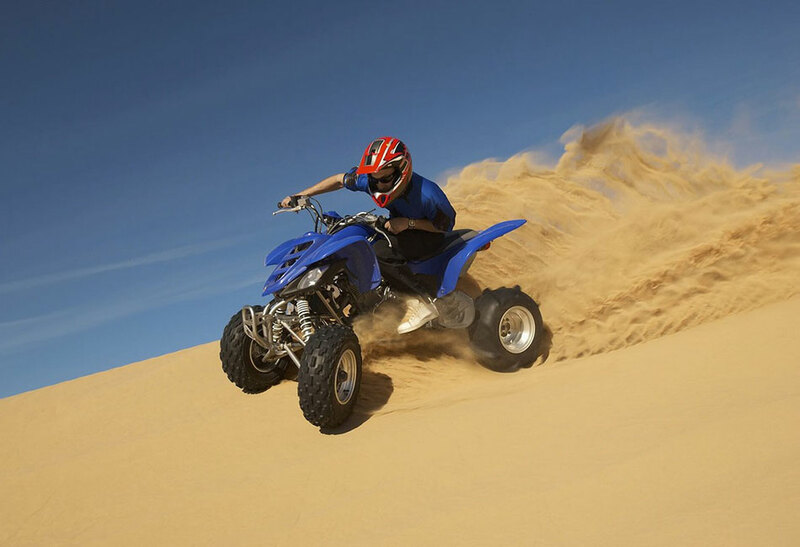 This Essaouira day trip begins in Marrakech, and as you travel through the gorgeous scenes the Haouz plains offer, you’ll start enjoying the ride a tad more. After arriving at Chichaoua Village you’ll make a quick stop to rest for a while and then enjoy a hot cup of freshly brewed coffee. After that you’ll continue on heading towards Sidi Mukhtar, where you may take some amazing photos of goats climbing trees and being the happiest they can! you will also have a chance to meat some lovely hard working ladies at the co-operative and learn how they extract argan oil to produce cosmetic products. 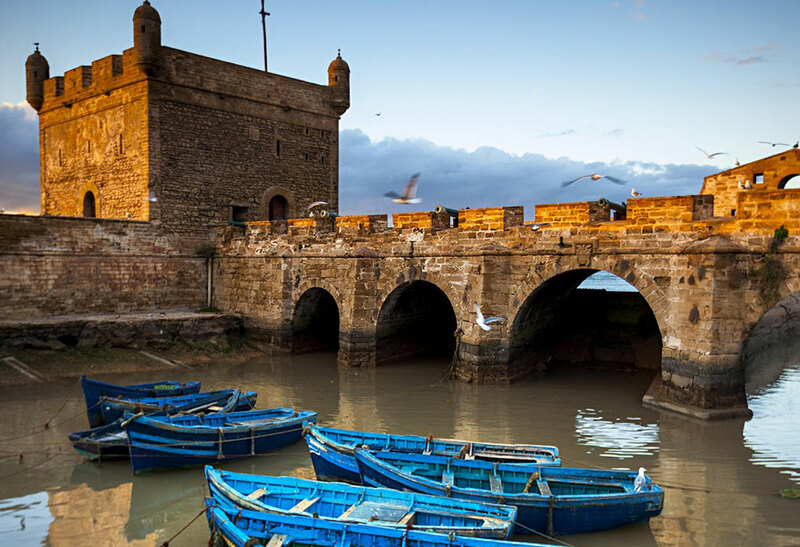 Watch fishermen while they climb their bounty as they return to the port of Essaouira. Enjoy genuine, and extremely attention-grabbing art at some of the finest art galleries in Essaouira. Take gorgeous photos of the Medina in Essaouira. You can wander at ease in Essaouira as it’s fairly easy to navigate through its linear alleyways, and finding your way back to main square isn’t much of a hassle, so getting lost is quite of a long shot. Shop, Shop! and shop once more, Essaouira has amazing souvenir shops for you to browse and acquire amazing souvenirs for those who couldn’t make it back at home. Watch local boys having fun and playing football along the beach. Take a relaxing and nourishing stroll along the beach or enjoy a sun-bath. Delight in amazing seafood lunch, you can try any harbour stall or visit a local cafe to enjoy delicious seafood. Comfortable and air-conditioned transfer with no more that 17 passengers. Drop off at the Marrakech city centre, or at your riad/hotel by our driver. Returning to your accommodation at 6:30pm. Optional tour guide in Essaouira. 8am : Pickup from your Marrakech hotel/riad by your English-speaking driver. 11am : Arriving at Essaouira.